A must have item for any serious chess historian or chess collector! This massive collection, over 500 issues of the legendary publications of the US Chess Federation, has been painstakingly digitized. Every issue is complete - every article, picture and advertisement are shown exactly as they appeared when it was originally published. All of these issues have searchable text! Older issues of these magazines often sell on eBay for upwards of $100.00 per year - Here is your chance to get 42 years worth of Chess Magazines at a cost of less than $1.00 per year! 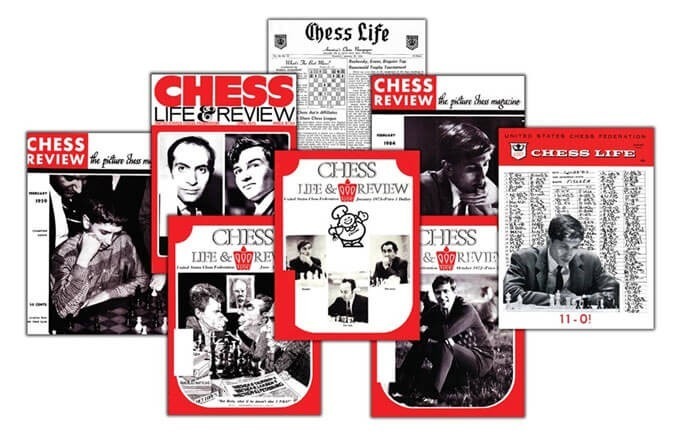 Note to all Bobby Fischer Fans: The Chess Life and Review Box Set features hundreds of articles about Bobby Fischer. You'll be able to follow the life of Fischer through the eyes of the US Chess Federation, from Child Prodigy to World Chess Champion!